Start college savings early with the right plan or account. You can put money in a traditional bank account and let it sit until a child is ready for college or you can use one of the approved savings plans that allow you to give money for college and take advantage of tax benefits. 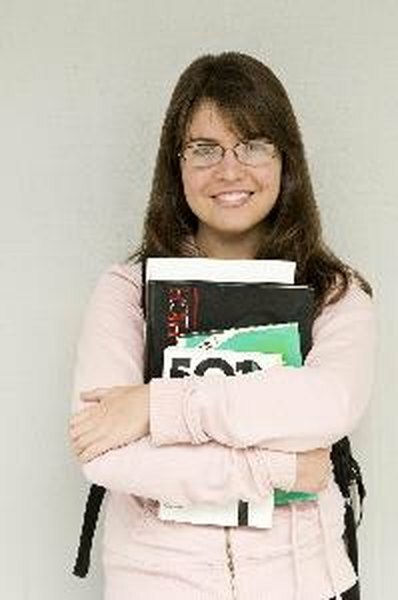 The Internal Revenue Service allows certain tax advantages for college savings accounts and for use of the funds to pay for approved education expenses. The savings and investment accounts, including trust accounts, designated for education savings allow you to ensure proper control and management of the assets for future use. The pre-paid tuition plan is one of two types of the 529 plan, a qualified tuition plan with tax advantages. The IRS establishes the rules for 529 plans, such as contribution limits and tax-free withdrawals for approved expenses. The pre-paid tuition plan allows you to purchase units to pay a beneficiary’s future education expenses at colleges and universities. State governments are the usual sponsors of pre-paid tuition plans, most of which have residency requirements. State governments guarantee investments in the plans they sponsor. One advantage of pre-paid tuition plans is that tuition prices are locked in at participating educational institutions at the time purchase. The college savings plan, the other type of 529 plan, requires opening an investment account with a bank or other financial institution. As the account holder, you choose the investments, such as money market funds and stock mutual funds, and authorize withdrawals to pay a beneficiary’s eligible college expenses. State governments do not guarantee investments in college savings plans, which also are not federally insured. Unlike the pre-paid tuition plan, the college savings plan allows withdrawals to pay for expenses beyond tuition and mandatory fees. College savings plan funds may be used for room and board, required computers and books. You can give money for college by opening a custodial account, a type of trust account that requires a donor to appoint a custodian or trustee who will manage the account and name a beneficiary who is a minor. Under the Uniform Gifts to Minors Act, or UGMA, gifts of securities can be made to minors. The Uniform Transfers to Minors Act, or UTMA, allows minors to own more types of property. The terms of UGMA or UTMA accounts are established by state laws. Once you open a custodial account, you irrevocably give the money to the beneficiary, who will assume total control of the account upon reaching the age of majority. You can avoid giving control of the assets to the beneficiary by opening a Coverdell Education Savings Account as a custodial account using the UGMA or the UTMA. You set up a Coverdell account before the beneficiary reaches 18 years of age. Select the option on IRS Form 5305-EA that allows you to instruct the “responsible individual” you named to continue managing the account after the beneficiary reaches the age of majority. Your Coverdell account contributions are not tax-deductible, but withdrawals for approved education expenses are tax-free. Purchase tax-qualified U.S. savings bonds -- Series I bonds and Series EE bonds issued after 1989 -- to save for a child’s future education expenses. The U.S. savings bonds must be in your name or in the names of you and a spouse as co-owners. The IRS rules allow you to cash in the bonds without including all or part of the earned interest from the bonds in your income if the money is used to pay qualified education expenses for you, a dependent or your spouse. The program’s income eligibility requirements are based on filing status. Some states also sell college savings bonds. For example, the Illinois College Savings Bond Program issues discount-priced, zero-coupon, tax-exempt bonds designed for long-term investment to pay education expenses.